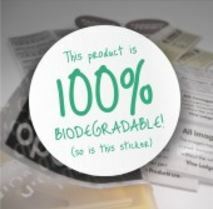 Sticky Labels Blog | Sticky Labels News | Environmentally Friendly Labels: What Are Recycled and Biodegradable Labels? More and more companies are switching to biodegradable packaging in a bid to reduce their environmental impact. But those green credentials can go up in a cloud of acrid, pollutant-filled smoke thanks to a label that is neither biodegradable nor recycled. Large corporations often insist on green packaging now and, even if they don’t, it is certainly an advantage when competing for a supply deal. Green is the new black when it comes to packaging, so you need that competitive advantage. For single colour labels, we are delighted to offer a fully biodegradable option that can be applied to compostable packaging according to regulation EN13432 if the label represents less than 1% of the total weight of the packaging. Bio-based paper and film material made from wood or cornstarch represent major steps forward, and by using these materials you can demonstrate your commitment to sustainability to your customers. There are also tax breaks, as compostable materials can be sent to specific facilities that cost less than landfill in many nations. 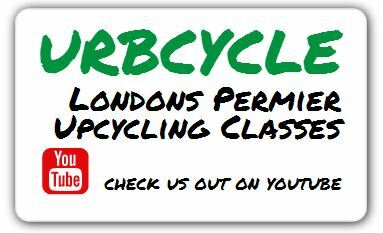 Recycled Labels For Eco-Conscious Companies. Recycled labels are made from, as the name suggests, recycled paper. These are not fully biodegradable, but they still show a commitment to the environment and the recycled logo is universally recognised by consumers. Other advantages of recycled labels are that they can be printed in full colour, so your design is not compromised by the eco-friendly element, and they are also significantly cheaper than fully compostable labels. There are no two ways about it: the environment will become increasingly important to B2B customers and the end-user. Packaging, in particular, is coming under increased scrutiny. If you adopt sound, green policies now then you’ll benefit from increased business, brand awareness and it can only be good for your image. Consider eco-friendly labels part of your essential marketing spend and order yours now from Sticky Labels.